Help with the upgrade to our change rooms. We are currently seeking donations to upgrade our change rooms. If you can help, click below. 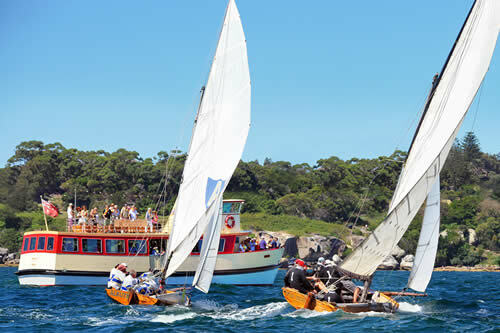 Sydney Flying Squadron (SFS) is the original home of the famous Sydney Harbour sailing skiff class, the 18-footers. The Sydney Flying Squadron Yacht Club was founded by Mark Foy in 1891. He promoted a vision of open boat sailing with broad popular appeal for spectators and open to all sailors, regardless of financial background. In doing so, he challenged the gentlemanly sailing conventions of the day, particularly by having coloured sails and prize money! Sydney Flying Squadron conducts racing on the picturesque Sydney Harbour for senior skiff classes on Saturdays during the summer months of October – April. Each Saturday of the sailing season we have a ferry leave the club at 2.00 to follow the races. It returns around 4.30. Enjoy lunch at Foys Restaurant before you leave. Foys restaurant and bar offers the very best of casual dining showcasing the iconic beauty of Sydney Harbour while embracing the hive of the north shore working waterfront. The perfect location for your event or function. The restaurant, boardroom and sunset deck are available to hire for corporate or private functions – large and small. The Sydney Flying Squadron today still enshrines much of Foy’s vision. 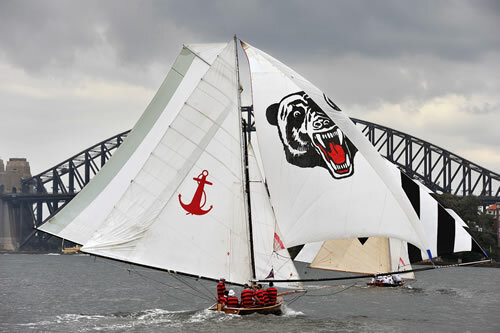 The Historic 18-Footers race with coloured insignia to enable spectators to distinguish each skiff in following the races. They sail courses in view of a ferry of onlookers following the race, and a timed handicap start enables a thrilling, first-over-the-line finish for the ferry patrons. These unique wooden boats keep alive the skills and excitement of boats you would normally only see in a museum. From early October to Easter, the SFS sails the Historic 18-foot skiffs on Saturdays. The Club also hosts other open boat or skiff classes, such as the 12 footers. A dedicated spectator ferry runs on Saturdays during the sailing season, providing a magnificent harbour cruise while following the 18-footers’ racing. It is easily the best value, and most visually exciting cruise on our magnificent harbour! 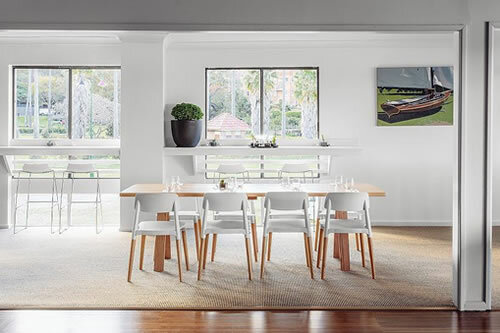 Situated at the end of Careening Cove, Kirribilli, the Sydney Flying Squadron clubhouse enjoys spectacular water views and is situated next to Milsons Park which provides a large grassy rigging area. It is a great sight on Saturday mornings in summer, when the Historic 18-footers are rigged on the lawn, before launching down the ramp next to the Club for the afternoons’ racing. 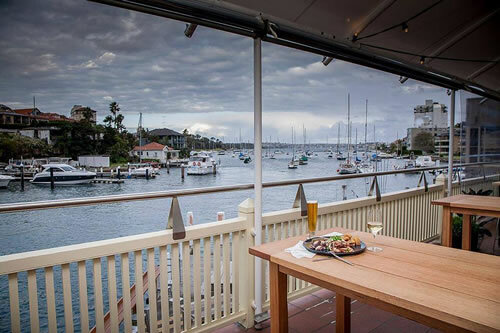 Facilities include a boatshed, wharf, balcony, bar and the stunningly refurbished Foy’s Kirribilli Restaurant – the perfect location for all your social events. A café operates on the lower deck, accessed from Milsons Park. Membership is open to sailing, social and local members and offers the best value of all amongst Sydney Sailing Clubs. The location cannot be bettered.